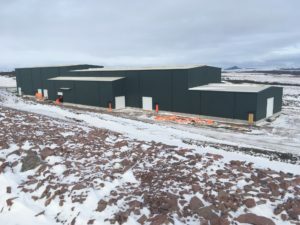 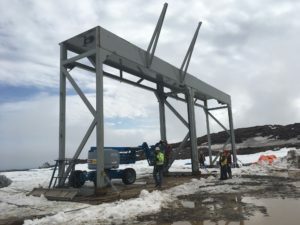 The Project components include the mine, mill, tailings management facility, water management facilities and general site drainage, and restoration of existing buildings. 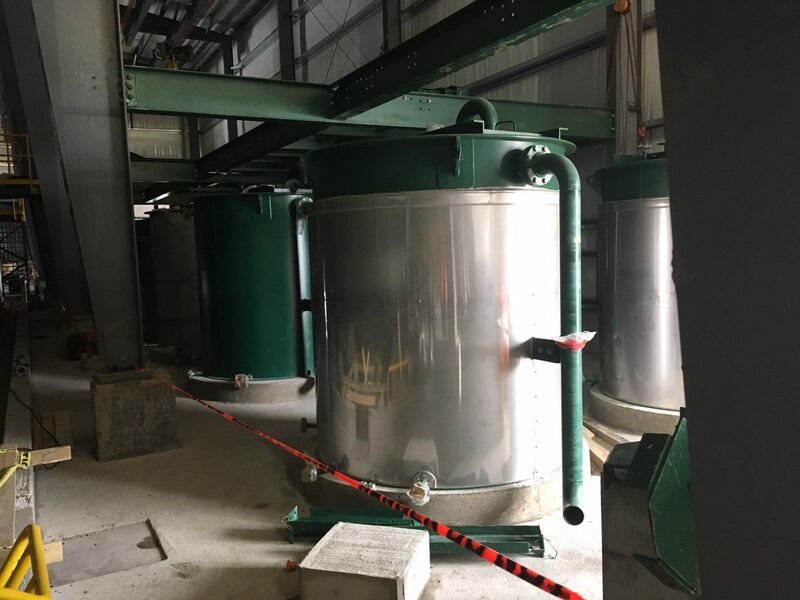 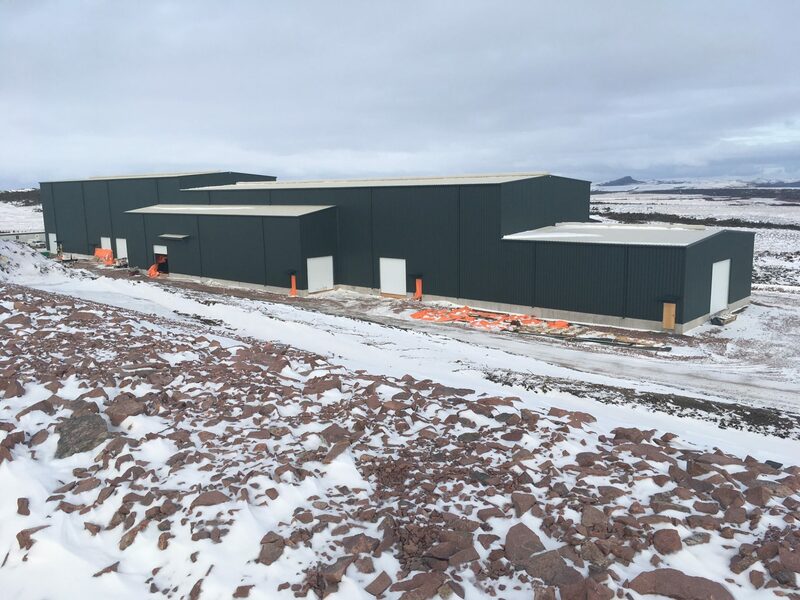 Buildings to be constructed for the Project include: mill, electrical, concentrate storage, administration and engineering, maintenance, reagent storage, explosive storage, security, water treatment, laboratory and dryhouse. 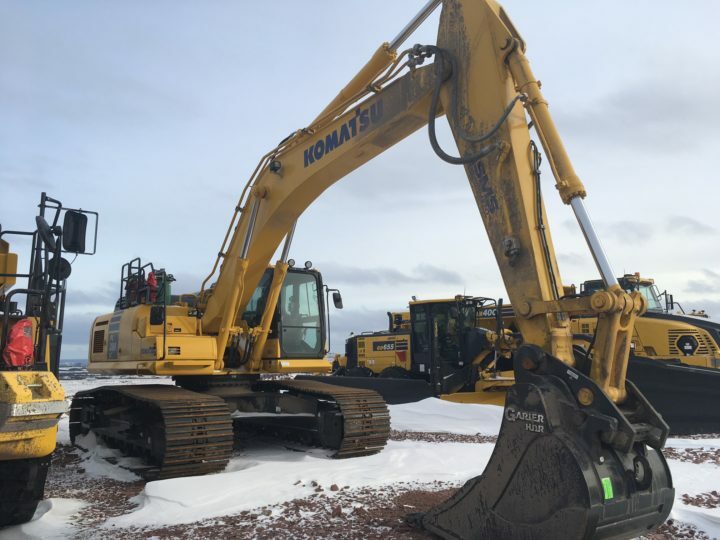 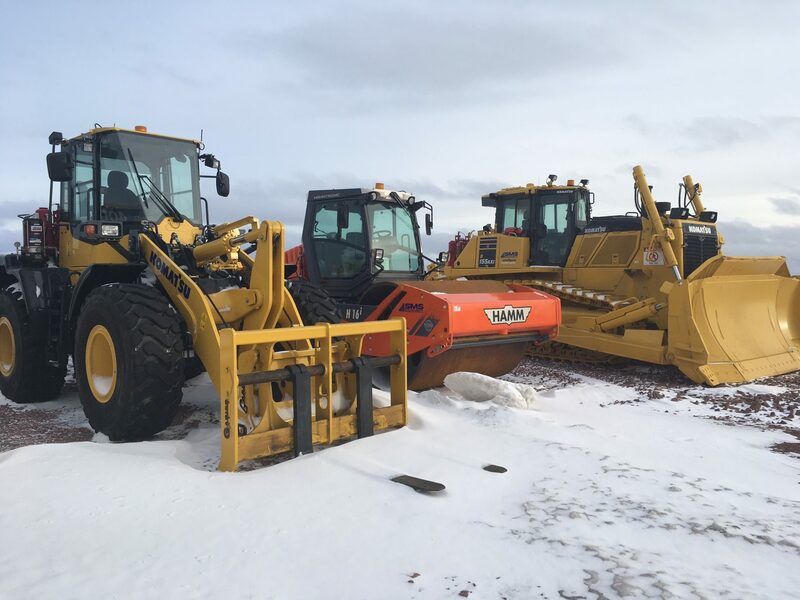 Site preparation includes vegetation clearing, site grading and excavation. 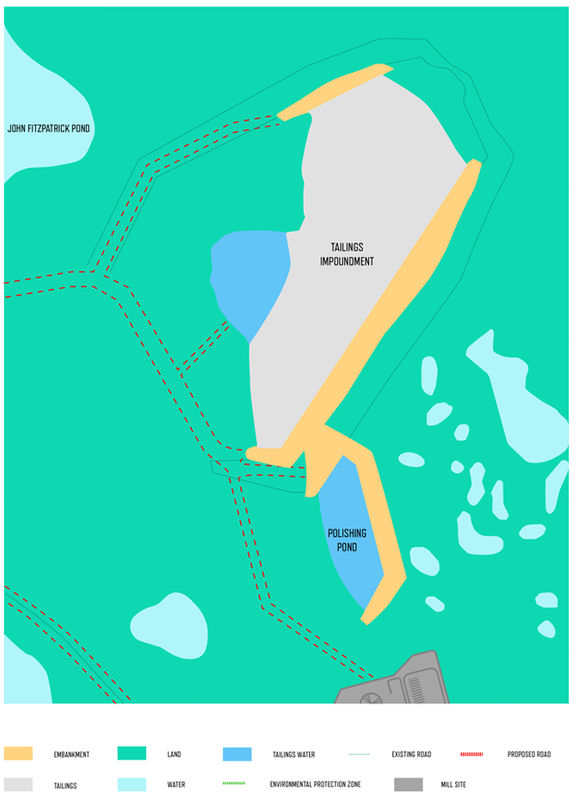 A water supply system will also be constructed on site. 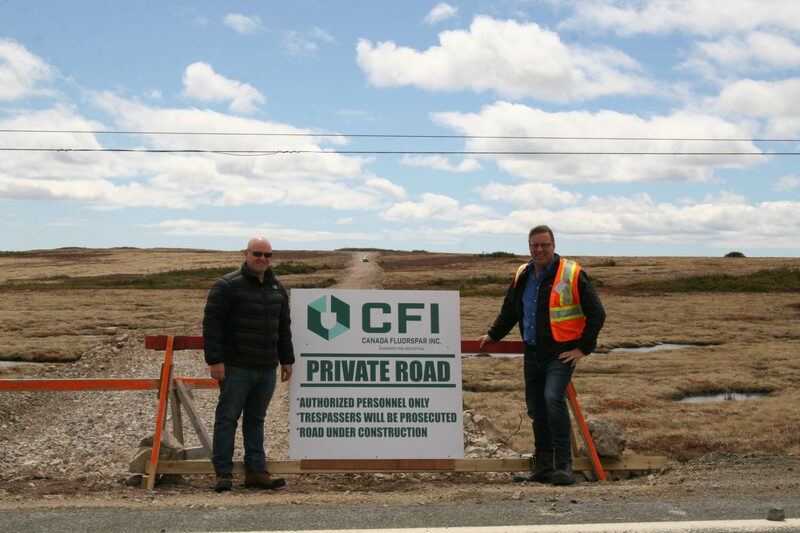 Approximately seven kilometres of mine roads will be built. 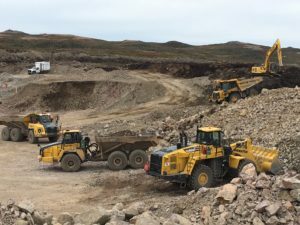 Open-pit development will take approximately 16 months. 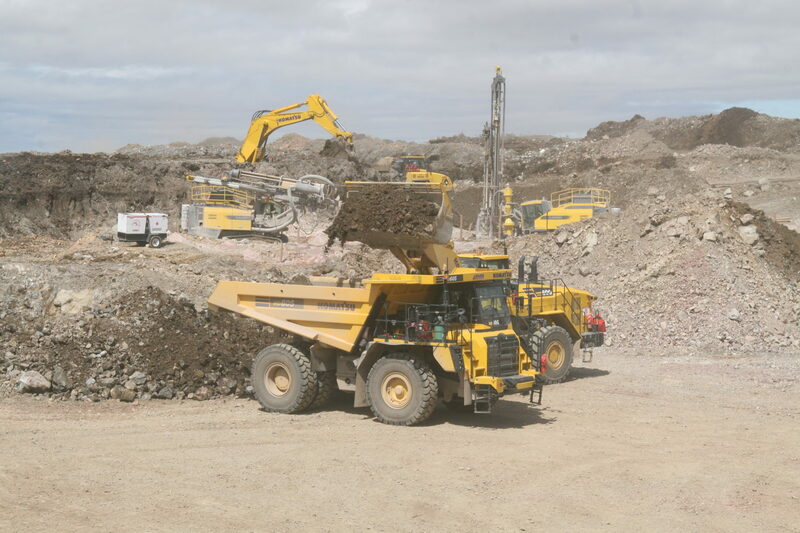 During this time small amounts of fluorspar will be mined from the surface to accommodate mill commissioning. 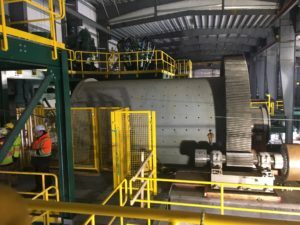 A tailings pipeline will also be built to connect the mill to the tailings management facility – AGS East. 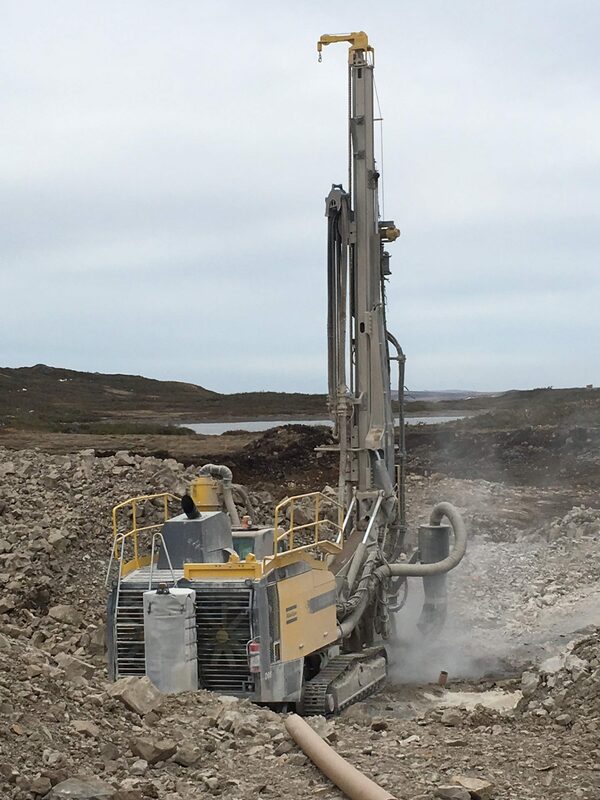 Tailings are produced as a byproduct of milling, and exist essentially as sand depleted of valuable mineral. The objective of tailings management is to confine the mill tailings and provide safe, long-term, low maintenance disposal. Tailings are stored in engineered structures called tailings impoundment areas, which can be created through the use of dams, berms, and natural features of the site such as hillsides. 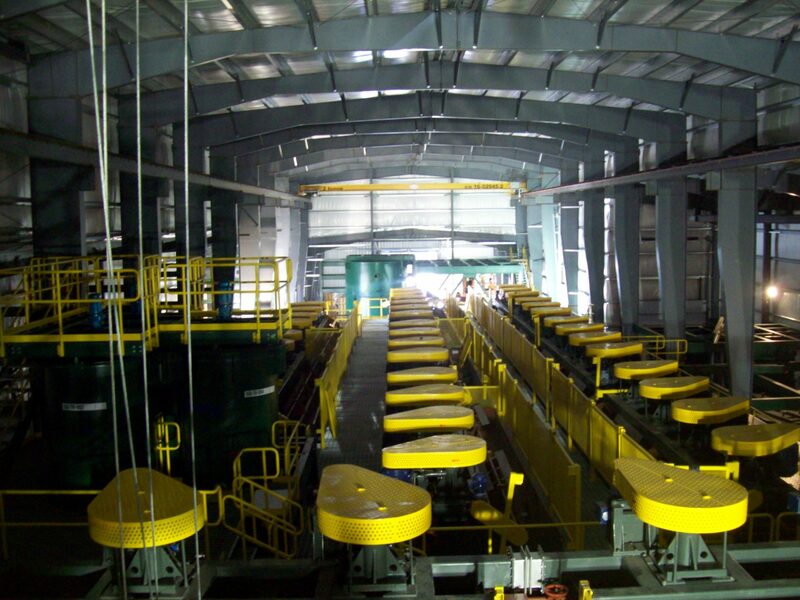 It is common practice for tailings to be permanently stored in a secure facility at the site. 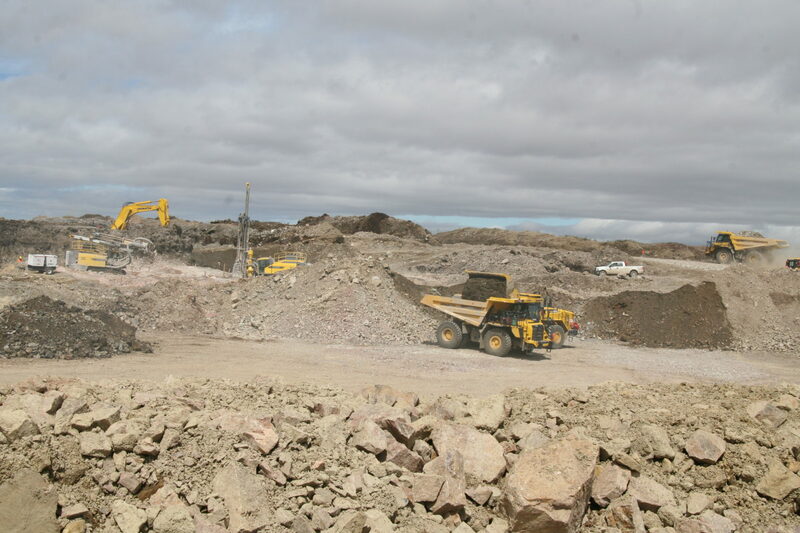 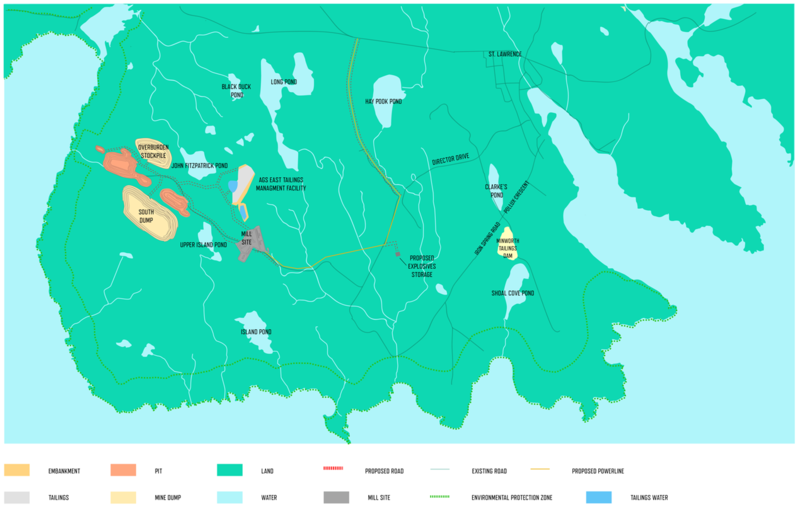 For the St. Lawrence Fluorspar Project the 2.8 million tonnes of tailings will be stored in an area called AGS East. 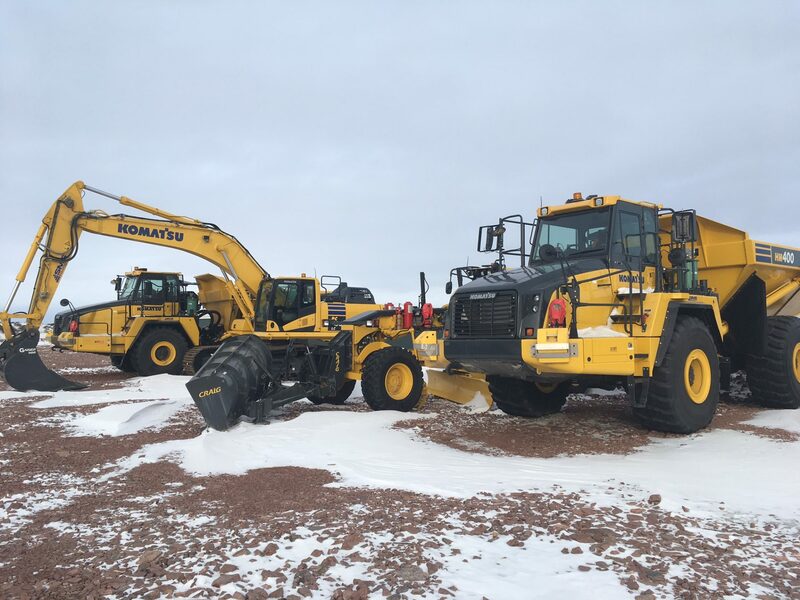 It will be located near the St. Lawrence Fluorspar mine site in a purpose-built tailings storage area. 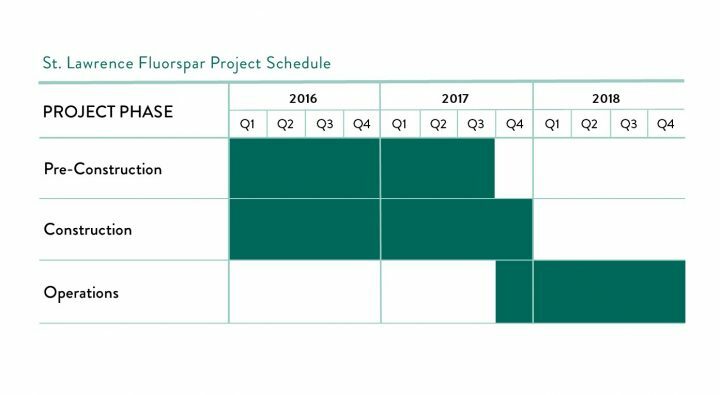 The resource estimate of the St. Lawrence Fluorspar Project is approximately 30 years of production. 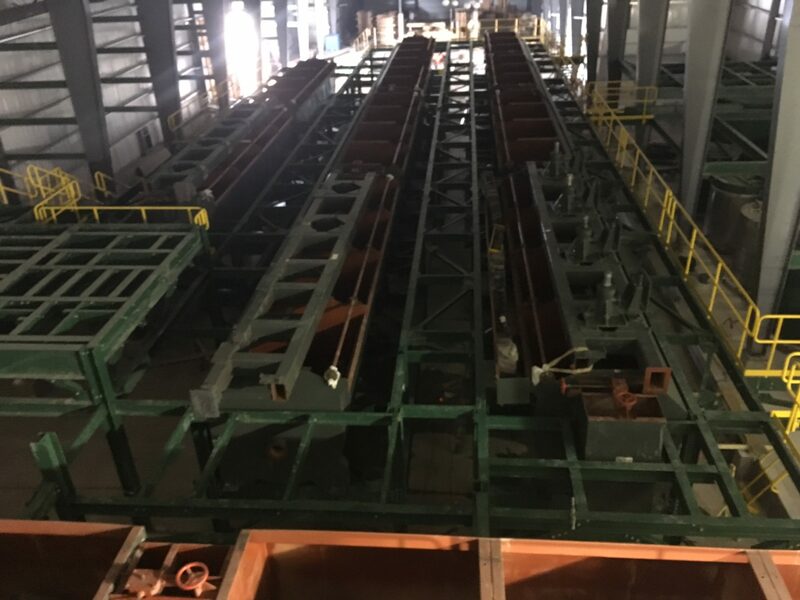 Open pit mining will occur in three pits: Grebes Nest Pit, Center Pit and Open Cut Pit. Grebes Nest Pit will be mined first with waste material from this pit used to construct mine roads and supply materials for the tailings dam construction. 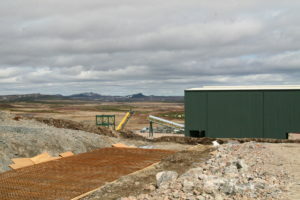 Grebes Nest Pit will be completed at the end of Year 2. 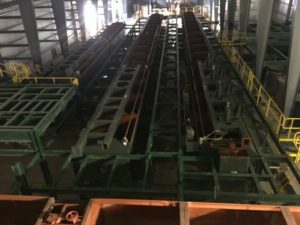 Center Pit will be mined as Grebes Nest Pit is completed. 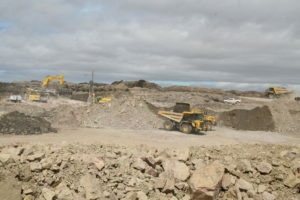 The Open Cut Pit will be mined in Year 6, the last year of mining of the open pits. 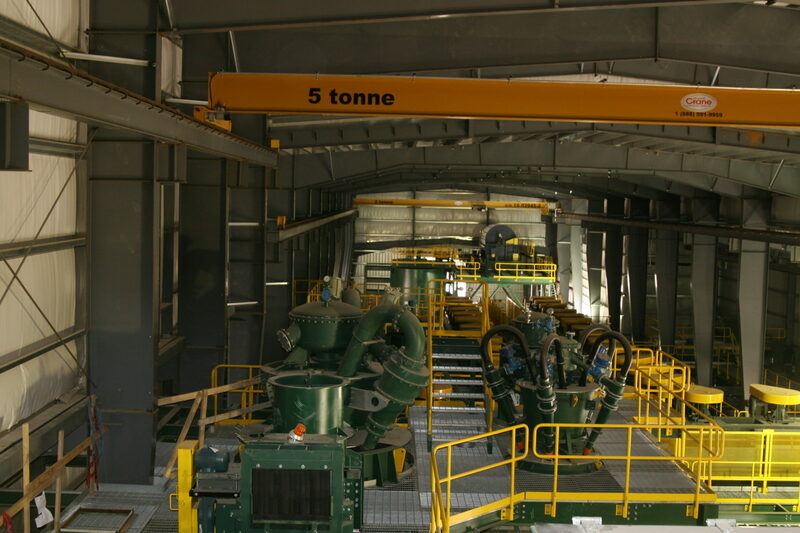 The first year of mining will focus on ramp-up and commissioning the mill. 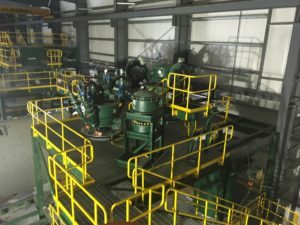 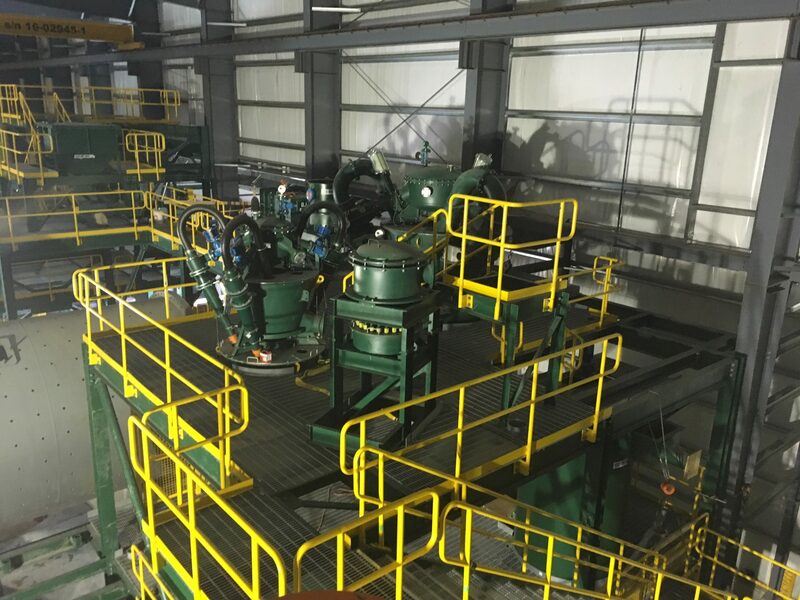 Production will then increase to an average annual production of 200,000 tonnes of acid-grade concentrate. A Haul Truck waits for a rock load to remove from site. 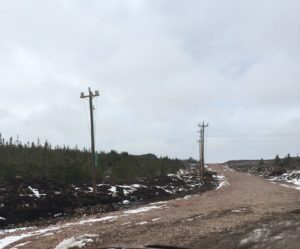 Progress continues on Town Bypass Road. 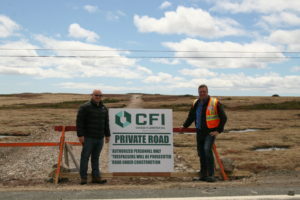 The road will allow CFI to connect to highway systems without having trucks travel on municipal roads. An overhead view of flotation cell banks. 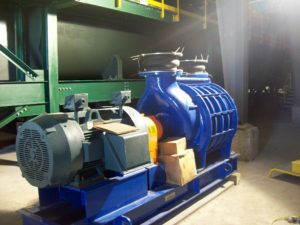 Cyclones ensure particles of the right size get sent to flotation cell banks. Doors are erected for the Mine Workshop. An inflatable structure will be attached to the doors for the main building portion. 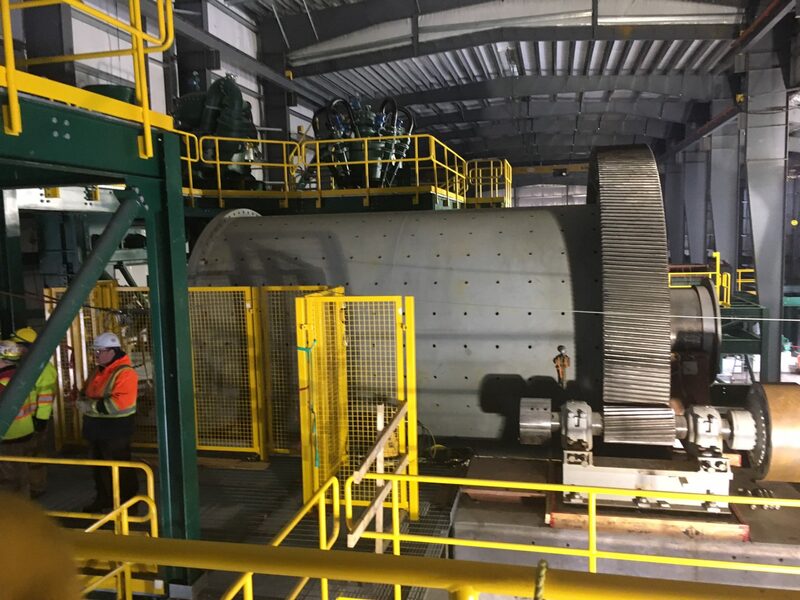 The Ball Mill has been installed. 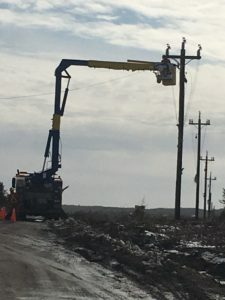 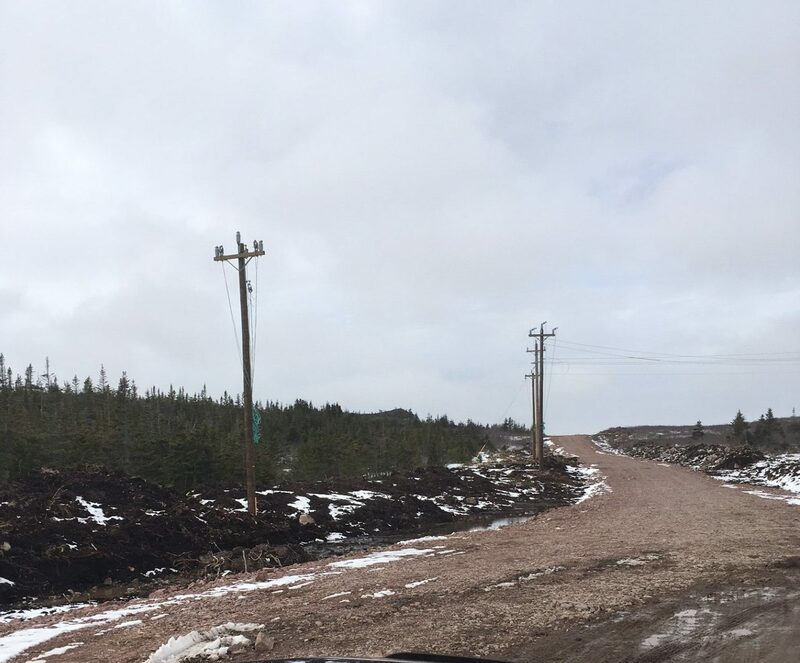 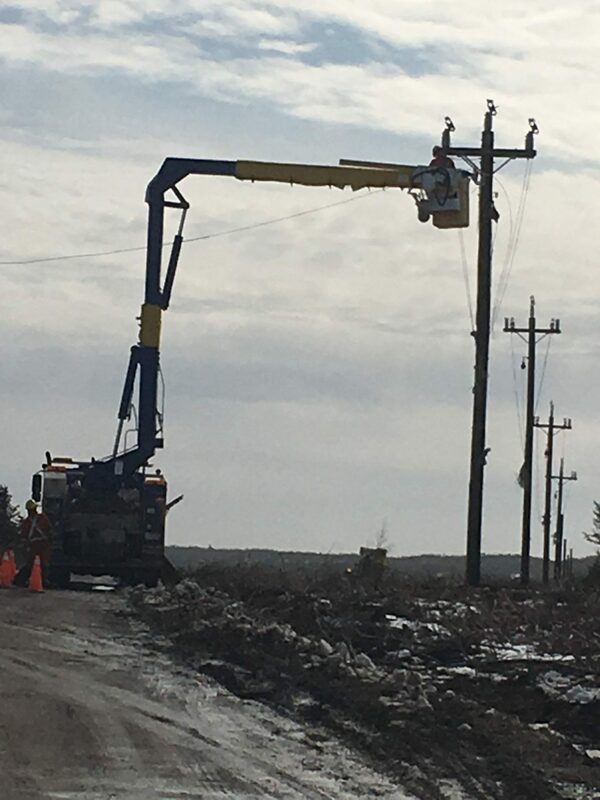 Power line work continues for the St. Lawrence Fluorspar Project site. 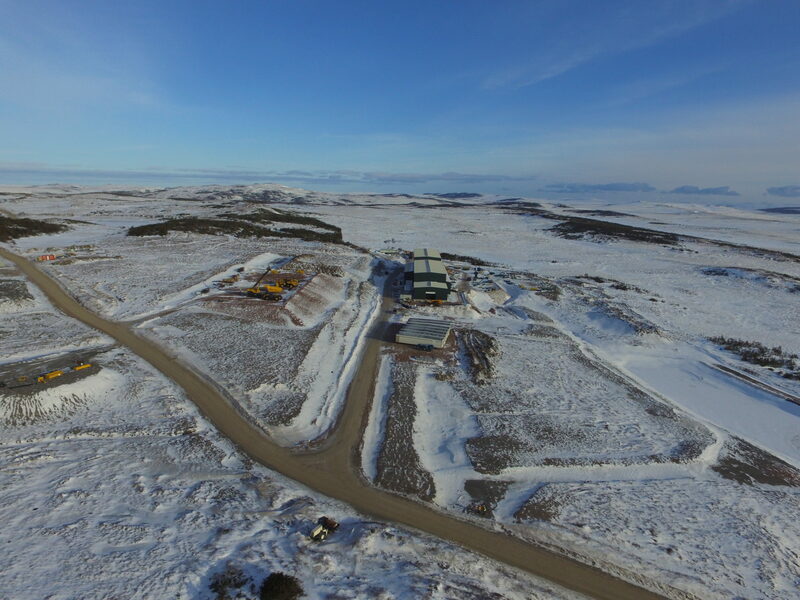 An aerial view of site – March 14, 2017.